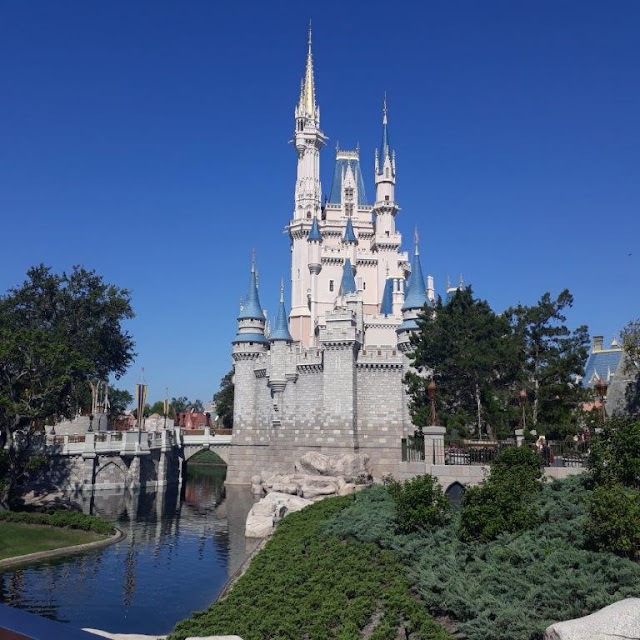 This week we have a Guest Review from Emma and Anthony from @themeparkcouple (on Twitter and Instagram). They are a 'just married' couple in their late 20s from South Wales UK and they love everything about Florida like WDW, Universal Orlando Resort and all the other theme parks. 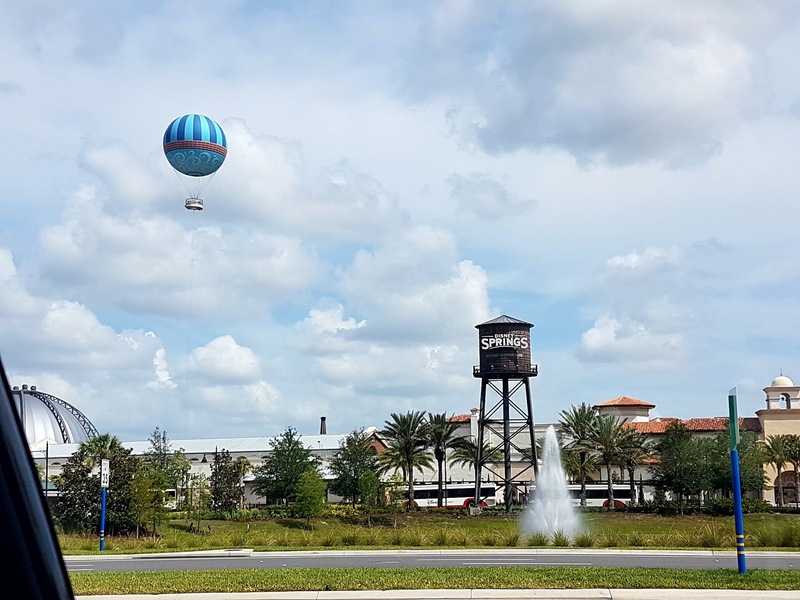 Below they review Disney Springs, which is a main shopping and restaurant area of Walt Disney World. All the Disney (and Universal) parks have an area outside, set aside for shops, restaurants and live entertainment. Emma and Anthony answer all your questions on the best 'food' places to eat in Disney Springs. Disney Springs is easy to get to as all the resort buses stop there and they have sign posts for the bus stops. Disney Springs is pretty big and its beautiful to walk around. There is a Starbucks but no McDonalds or supermarket there. You will have go outside of Disney for those amenities. The biggest Disney store in the world ‘World of Disney’ is located at the Marketplace and there is also a lego store. Disney Springs doesn’t have a night time show but sometimes there is something on one of the stages or just around the area. Its so lively at night and definitely recommend a visit. We love to visit Disney Springs not just to shop but also to eat! It’s home to some of the most amazing food, Our biggest surprise was Bongos Cafe, it’s Cuban food, we always walked past and thought it smelt amazing so one night we decided to try it and we are all happy that we did! The food was incredible (and me being the fussy eater out of the two of us) I didn’t think I would like it and I loved it especially the garlic toast (literally could have eaten that forever). Anthony had the steak a la milonesa which was HUGE, and so well cooked and it comes with a side of rice. I had the shredded beef which came with a side of rice and green plantains it was incredibly flavourful. The whole menu was reasonably priced, it’s also filled with an amazing atmosphere with dancers, singers and musicians its very rare we find that you have dinner and a show which you can’t fault on either part, the staff where amazing we couldn’t fault them and our server Michael we will always remember him. 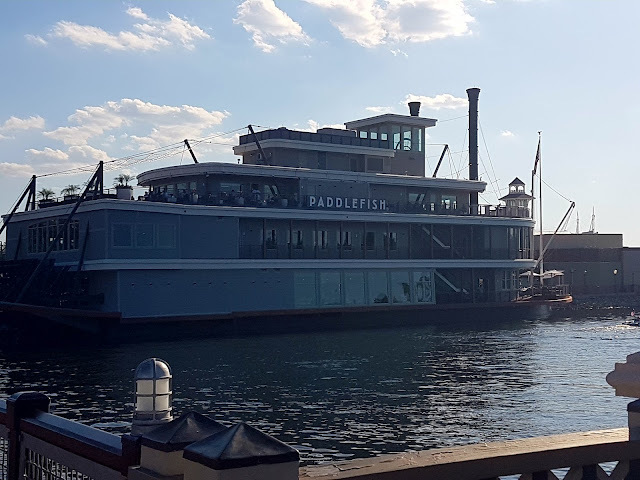 Some of our other favourite places at Disney Springs include the ‘Paddlefish’ -we can’t recommend this place enough. We went for Anthony's birthday and it was incredible as is the view and the staff were so helpful. The ‘House Of Blues’ is always a spot we hit, great value for money and great atmosphere. ‘Home-coming’ is great it has homely food that warms the soul. ‘The Boat house’ is also amazing and the view is to die for, We could go on and on as it has places like Paradiso 37 and STK but this was only meant to be a short list. If you are looking for somewhere to chill out and have a nice drink looking at an amazing view the ‘Jock Lindsey Hanger Bar’ is defiantly the place to go. The cocktails are amazing paired with the view - we could sit there all day. Thanks to Emma and Anthony from @themeparkcouple (on Twitter and Instagram). Make sure you follow their continuing adventures.